The V304 was the earliest version of the Jaguar Organ. 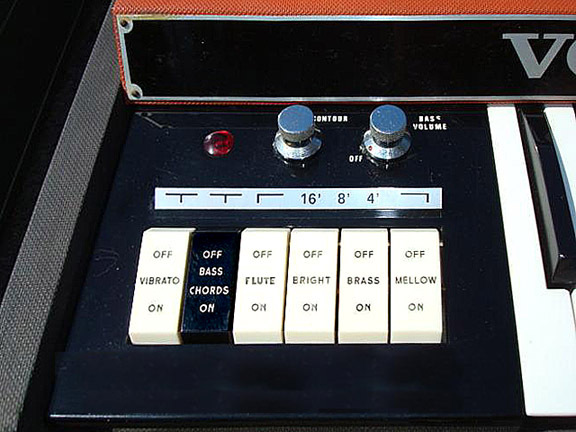 The control panel of this GEM produced organ had six rocker tabs with a dished or concave face. From left to right, these tabs were labeled Vibrato, Bass Chords, Flute, Bright, Brass, and Mellow. The Vibrato tab controlled the Vibrato. The Bass Chords tab allowed the choice of allowing the organ tones to continue to the bottom of the keyboard, or turning off the organ tones and only hearing the bass tones. The Flute tab created the body of the organ tone. The Bright and Brass tones were normally combined with the Flute tab to make a more "Continental" type tone. The Mellow tab offered the softest and least brilliant tone on the organ. An aluminum escutcheon plate above the rocker tabs was marked --16'--8'--4'-- to highlight the divider distribution from the tone generators. 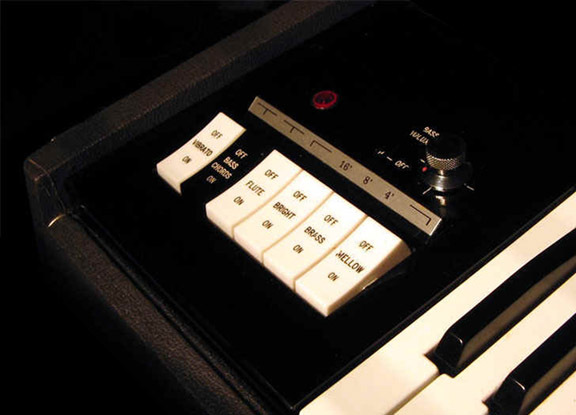 A rotary Bass Volume control adjusted the level of the bass tones output and also served as a power switch for the organ. The control panel of the EME produced V304E2 and the Heathkit produced TO-68 Vox Jaguar Organ was similar to the V304 with just a few differences. The six rocker tabs had a flat, rather than a dished face, and a tone control, labeled "Contour" rolled off the treble response of the organ.